phased implementation plan, easing funding demands, limiting student interruption and providing a quick return on investment. We plan to achieve this outcome by upgrading the quality of our classrooms, common academic spaces, student life facilities and making investments in utility infrastructure. In summary, the renovation program would endeavour to build quality academic spaces, provide safety, promote interdisciplinary learning, integrate instruction and improve student outcomes. It should also set a precedent of restoration of the school’s attractive visual unity, while being harmonious with Woodstock’s prized natural environment. Of necessity through this extended process of renovation will be the setting of coherent, clear standards for aesthetics and all materials and equipment, so that the desired unity can be established and easily maintained. Scope: The original CMP included significant structural changes to existing buildings. 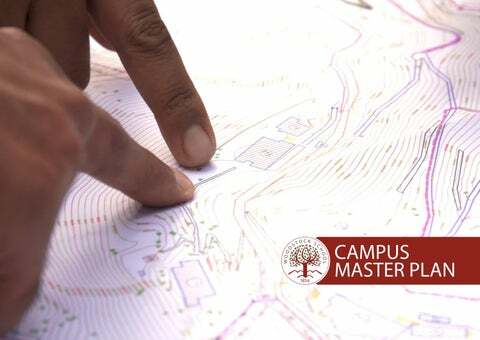 Staff housing, campus paths and security were additional domains within the CMP. Our revised plan focuses entirely on student-centric spaces, with the academic area being the highest in terms of priority. Scale: Unlike the original CMP, the new strategy proposes a lighter approach that involves minimal structural changes to our buildings. Priorities such as the expansion of Parker Hall and Vera Marley Library would need to be re-evaluated carefully in consultation with structural engineers. Timeframe: To minimize the probability of academic disruption, the strategy calls for a program that occurs almost â&#x20AC;&#x153;mid-flightâ&#x20AC;?. The plan would address facelift of academic spaces in blocks, starting with areas that offer the least complexity in terms of schedule and location. Collaboration: The academic team needs to be the primary stakeholder of this exercise, and we would have them take a lead role in defining what is needed. This process has already been initiated as part of our requirements definition process for new classroom spaces. The thought of a phased, smaller scale renovation plan is a fundamental shift from our previous strategy, not only since it involves a set of gradual and measured steps, but also since it provides Woodstock with full control over the scale of change. While still being capital intensive in nature, the pace of the revised plan could be calibrated depending on available funds, internal execution bandwidth and reasonable timeframes required for approvals. A controlled, phase-wise approach is proposed, allowing the team to plan and deliver results, elicit feedback and move to the next phase with a refined strategy to build something better. This new strategy allows us to apply current best practices around iterative cycles of design. Historical Context Woodstock School was organised by a group of English Women, members of the Society for Promoting Female Education. In 1854, hey held their first classes on a site below Library Bazaar. In 1856, two years later, it moved to its present location. The school was then shifted to Upper Woodstock and Woodstock Cottage (now Tafton) and was known as the Protestant Girl’s School. The name was changed in 1861 to Woodstock School. In 1872, Woodstock property was bought which includes Elementary, Middle and High School buildings. The Music cells and the top verandah where the Quad Library is now, were built between 1902 and 1907. 1906 – 1912: All the Quad buildings were added to the original building Admissions Office, Accounts Office, Principal’s Office and Dining Rooms 1911 – Midlands and the large estate which has now become Hostel, Ridgewood, and Alter Ridge were bought and the college was built for the education of women. Midlands’ large, well-lighted and airy assembly hall was given the name of Thorpe Hall. Mrs. Thorpe was for years the India Secretary of the Philadelphia Women’s Board of Foreign Mission. 1926 – Hostel was dedicated, and the Principal moved down there to be with the boys. 1929 – The High School building was ready and Standards 9 and 10 were moved up from the College. 1932 – Parker Hall was dedicated and the Class of ’32 had their commencement exercises there just before the school closed down for winter vacation. 1932-33 – Woodstock Cottage (Principal’s Residence) was built. 1933-34 – The old Woodstock Building was remodeled. The old building was demolished and new classrooms for KG and Grade 1 were made. 1936-38 – Hanson Field was ready, but in winter there was a landslide taking the new pushtas and some trees with it. 1941 – Ridgewood was built for small boys. 1945 – Hanson Field was named after “Bob” Hanson, who had been the Best-All-Round-Athlete at Woodstock. During the 50’s Edgehill Villa was bought by the school and was renamed Woodstock Villa. 1952 – Midlands Duplex was built for staff 1954 – The Hindustani Church was built in the memory of Miss Edith Jones (1906 – 1943) 1962 – The extension of Ridgewood was built. 1963 – The old ‘ Horse Shoe’ and the old Oak tree at the end of Music cells gave way to a Chlorination Unit – a gift from the Ford and Rockefeller Foundations. 1966 – The New Recreational Center for students ‘Whispering Pine Lodge’ was built. It is among the Pines below Ashton Court. But due to the new motor road, activities there had to be stopped, consequently it was sold in the seventies. 1968 – The Hostel common room and recreational room on top were built 1970 – The Vera Marley Library was inaugurated. 1970’s – During this time, Palisades, Tafton, Tehri View, Upper Woodstock and Community Center were all given to the school by the United Presbyterian Mission. 1973 – The Methodist Church donated Eastwood Cottage, Hill Haven, Sunnywood, Doshisha and Bramleigh. 1982 – Alter Ridge was inaugurated. 1993 – Media Center was built. 1971 – The three-storey staff Duplex above Hostel was ready for use. 2004 - Midlands was renovated. 1977 – The new High School Office above the library and the Robert Fleming (Senior) Science Block were opened. 2010 - Win Mumby Gym was built. 1970 – Suncliff was bought by the school. 1972 – Oakville was given to the school by the United Church of Canada. 2010 - Hostel was renovated. 2012 - Alter Ridge was renovated. 2014 to 2018 – 15 staff homes were significantly upgraded. 2017 - Quad Dining Hall was renovated. The last 15 years have seen the Woodstock administration and board engaged in countless discussions on the scope and scale of the school’s comprehensive renovation. In the long time that the Campus Master Plan was discussed, the school administration had to painfully defer improvements to classrooms and other facilities in the hope of an impending, large-scale renovation. That period saw the school undertake upgradations to student and staff residences, as well as communal facilities such as the Gym and Quad Dining Hall. However, the three major academic facilities – Quad School, High School and Media Center were deferred and continued to decline. In September 2017, a decision was taken by the Board to convert Tehri View into a Science facility. Certain funding realities emerged, which made a large scale, disruptive CMP process unviable. In late 2018, the administration restarted working on a modified version of the Campus Master Plan. This document represents the first draft emerging out of that process. The core of our updated campus renovation strategy identifies certain facility upgrades needed within the next several years in order to provide the highest quality spaces for the important work of our students, faculty, and staff. Our classrooms, common areas, utility infrastructure and sports facilities require big changes as we prepare Woodstock for another phase of success. The components of our campus renovation program must include these priorities. prioritY: CONSTRUCT NEW LEARNING SPACES Apart from the Media Centre, which was funded by a grant from USAID and was unveiled in 1993, there has been no increase in academic space at Woodstock for several decades. 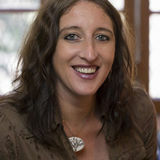 Although no major changes in our student numbers are expected, newer pedagogical methods, changes in curriculum, the introduction of resource-heavy, STEM-related subjects such as Design, and the expansion of academic choices are putting extreme pressure on our existing learning spaces, forcing us to often make hasty, short term decisions to reconfigure spaces in response to new demands. Delivering the highest quality teaching and learning experience for our students requires constant evaluation and investment in creating high-performance buildings to accommodate newer teaching techniques and innovation in education. Woodstock already has two significant projects in the planning process to accomplish this priority. A small room/area for running long-term IB Diploma experiments/investigations. Each laboratory would be equipped with adequate storage space for equipment. The laboratories would reflect the latest in STEM thinking and educational approach, with easy transitions between teacher centered instruction and student initiated experiments. The new design would have adequate safety facilities in labs and prep rooms. There would be a safe disposal system for chemical wastes. A central staff office with 8-10 workstations and adequate storage/filing cabinets, a sink, tea and coffee making facilities. Storage would be carved out for textbooks. Centre for Imagination at Tafton In 2014, the Board of Directors approved the establishment of a Centre for Imagination at Tafton as one of four key strategic pillars of planning and action in accomplishing the 2020 Vision first articulated in 2012. After two years of planning and training, the Centre opened in October 2016, when plans for the renovation of the building also began to take shape. Throughout the planning, we have followed a rigorous codesign process, engaging stakeholders in the collection of ideas. Renovation plans for the Centre for Imagination involve shaping both the inside space and the surrounding gardens and walkways into innovative, inspiring learning areas that blend with the now well-developed aesthetic that has informed renovations around the campus. The Studio: Central to the building will be a large, airy Studio space. The space will be opened up through a new, double door entrance onto the wide verandah and through the addition of several skylights. This highly flexible space will allow for project work during the day, along with panel discussions, art shows, and film screenings in the evenings. In recent discussions with the architect, we are exploring the possibility of maximizing the space (and the high ceiling) by creating an internal balcony/mezzanine accessed by a spiral staircase. This would also allow the creation of effective, easily accessible storage spaces under the eaves. Storage has emerged as a vital need, given the wide range of events and projects already being explored and hosted. The Study: Off the Studio will be a small office for visiting scholars-in-residence, accessed through a quiet, well-equipped resource library designed to facilitate thoughtful reflection and research. This room will also visually connect the Centre to Woodstock and Taftonâ&#x20AC;&#x2122;s rich history. The Hub: Next door to the Study and off the Studio will be a Hub to facilitate global connections and conversations. This will consist of a small conference room equipped for small groups or individuals to work online with schools and experts around the world. In addition, we envision creating a small, soundproofed recording studio as part of the Hub, from which we can launch an online Woodstock radio station to feature both music from students and storytelling podcasts. The Sunroom: This well-lit, warm space will function as a meeting/brain-storming space, as well as the office. The Centre already hosts a number of small, strategic discussions for students around current events or possible student projects. This sp`ace would provide the appropriate, discussion-conducive seating and planning tools that we currently lack. The Verandah: We envision expanding the wrap-around verandah, which has already emerged as a critical space for individual study, discussions, and workshops. With its stunning, wide view, the verandah unfailingly attracts comments from visitors about how fitting the space is for a Centre for Imagination. We will add lighting so that the space is more usable for evening events, along with boxes of medicinal herbs and ferns, as well as a fire pit so that we can continue the tradition of events around bonfires that we have already begun. Surrounding Landscaping: In the space leading up to the building, we have worked with the architect and a landscape designer to shape a stone outdoor seating area that could seat a class, along with the possibility of a small rose garden. On the retaining wall to the north of the building, below Pine Rock, we envision a cascade of vines, as well as maintaining a space suitable, (with minimal risk) and equipped for students to practice rock climbing. On the west and north-west side, we will place picnic tables like those around the campus to blur the line between indoors and outdoors. It is a known fact that Woodstock’s image and identity are incongruent to the physical infrastructure that the school offers through its learning spaces. In the last 20 years, outstanding schools have come up all over India that now challenge Woodstock’s position in a market it has dominated for 165 years. Apart from a rigorous academic curriculum, these schools offer modern, world class infrastructure in terms of classrooms, sports facilities and student residences. Some of these schools charge tuition that is comparable to Woodstock’s fees, and some are even more expensive than us. These schools are riding India’s economic growth over the last two decades and are fully leveraging the capability of India’s middle and upper class to pay for quality education. Their formula for success has been to offer educational and infrastructural value that fully aligns with the fees. Transform our classrooms into bright, engaging spaces that promote technology-enhanced teaching methods, collaborative learning and group interactions. Improve overall quality and consistency of classrooms, in accordance with the latest knowledge of successful learning environments. Ensure that the renovation program incorporates technology upgrades, furnishings, and environmental updates. Develop collaborative spaces to encourage dialog across groups and disciplines. Upgrade available resource centers, including Library and Student Support Offices. Create gallery areas devoted to telling the narrative of Woodstock, with exhibitions that demonstrate student work. Identify and enhance informal learning spaces for collaboration and individual scholarly work. Space Planning, Distribution, and Utilization Woodstock’s campus is a result of 165 years of evolution and organic growth, much of it reactive in nature. Little forward planning or organization has gone into building expansion projects. Exceptions include the Win Mumby Gym, which is an outstanding example of how a purpose built facility can assume great significance in a community such as Woodstock. The High School, Quad School and the Quad area have seen spaces constantly being repurposed, with classrooms, offices and recreation spaces constantly jostling with each other for significance. Adding to this complexity is a mindset that promotes large administrative offices occupying the central area within the Quad, adding further complexity to an already daunting challenge. The limited real estate available has meant near constant repurposing of spaces, which makes the spaces begin to feel arbitrary, along with feeding a perpetual cycle of additions and deletions, which invariably need be done in a short timeframe. Such work is temporary in nature, creates an “adhoc” environment that never settles, and seems far from the quality that Woodstock should accept as a standard. Reconsider location of current Quad library; explore idea of expanded, technology-enabled learning center. Explore possible relocation of the Daycare Center to a safe and accessible location downstairs. Relocate Design lab from the former Quad Auditorium to a better, purpose built space. Identify common themes that define a Woodstock classroom of the future. This exercise has been concluded after many rounds of deliberations with the academic team and students, the results of which have informed our decision making and choices for the three classrooms that were renovated in the 2018/19 winter break. The end goal is to have comfortable, insulated, ergonomic, multi-functional classrooms that are designed to support enhanced technological components including highquality projection devices, acoustic and public-address systems. Interiors should be tastefully done, with use of wood for panelling and crafting mid-century design furniture to reflect our commitment to create clean, minimalist learning spaces. Light neutral colors are proposed to be used consistently throughout, leaving children and their materials to add natural vibrancy to spaces. Ceramic Steel-based whiteboards will be used as projection and writing surfaces. Rubberized pinboards will be installed at multiple places within the classroom to ensure conformity with IBâ&#x20AC;&#x2122;s rigorous demands around showcasing student work. Tiling or Vinyl flooring would be installed to facilitate the overall comfort and cleanliness of the room. The table on the following page captures a summary of the requirements defined for classrooms, which was an outcome of a deeply engaging collaborative process between Woodstockâ&#x20AC;&#x2122;s Estates team, Faculty and Students. Either a wooden false ceiling with concealed lights or wood-clad metal beams with hanging lights. Tile, vinyl , or carpet flooring. Based on safety survey, open up safety doors that have been blocked. Create new safety exits from vulnerable areas within the school buildings. Safety doors should be fire proof with pushbars and alarms. Proper exit signage is required. An elevated lectern for teachers with a drawer in mid- century style. Open student shelving with laminate top and wooden legs. Whiteboards Will use Polyvision (Steelcase) ceramic steel boards in white Matte finish. There would be a large whiteboard on one side of the classroom that will act as both a writing and projection surface. The board should be clad with a wooden strip on the side There would be a whiteboard at the opposite end of the classroom as well, if there is space. Smaller whiteboards may be installed on the side walls, where space permits. All whiteboards need to have a wood tray at the base to store erasers and markers Magnets to allow paper to be stuck to whiteboards Tackboards	There would be rubberized tackboards on the side wall(s). Provision for a central PA system will be made. This is a major gap at Woodstock since there is no way for administrators/security personnel to make all school announcements during an emergency or otherwise. At this stage, we plan to simply make provisions in the classroom so that a future implementation of a schoolwide PA system could be integrated. Existing windows that are not in good condition would be replaced by double-glazed aluminum-based Georgian windows or high-quality wooden frames. Roman blinds will replace curtains. Provision needs to be there for a phone connection. No phone needs to be installed right now. Two hook strips with six hooks each to be installed inside the classrooms. Sheesham wood will be used for strips. Each classroom should have a classy, well-designed plaque outside to honour the alumnus who donated money, wherever appropriate. underfloor water-based heating solution has been very successful. However, the proposition of scaling up the system needs to be analyzed from a perspective of capital and operational cost. Options such as air-conditioners powered by heat pumps also need to be considered. celebrates and commemorates the past, while looking ahead to the school’s future. This effort would be significant in nature, as it would require careful thought, robust planning and partnership with consultants who possess deep expertise in heritage conversation and renovation. Building materials play a decisive role in the behaviors of structures. Understanding the physical and mechanical properties of these materials is an indispensable part of the work to be done to evaluate historical structures such as those that exist at Woodstock. During renovation, use of natural materials would be strongly encouraged. The use of authentic material would help to retain the character of historic buildings and in turn supports traditional industries and vital craft skills. Consideration needs to be given not only to the appearance of the material but also to its physical properties, future maintenance and compatibility with the building’s form of construction. An example of this is the use of lime plaster in some buildings. Lime binders have stood the test of time, and provide a beautiful and earthy finish. Lime enhances local identity and represents a flexible material that resists large scale cracks. Most importantly, lime is a porous and open textured material, allowing for good workability and maintains internal humidity of the space, thus providing a comfortable environment while reducing issues related to dampness. Libraries Another domain of focus needs to be the libraries in both Quad and High School, which are in unsatisfactory condition. Serious steps need to be taken to revitalize, refurbish, and reimagine our libraries, for them to meet the changing needs of our campus community. The digital age has brought transformative change to the way faculty and students use libraries. Users have diverse information needs and libraries worldwide are responding to the challenges by rethinking approaches to facilities, services, and collections. Learners and researchers have new demands due to the complexities of learning and increased focus on research data management. One major trend in Libraries, in line with progressive pedagogy, is a shift away from “silence only” to the fashioning of dedicated spaces for both quiet reading/study and collaborative research and learning. This all translates into changing user demands for space and services, especially in light of Woodstock’s movement to the IB. Our libraries need to reflect IB tenets, transforming into pleasing spaces that showcase international mindedness, effectively support inquiry and research, inculcate healthy reading habits, and provide means to think and reflect. The library should meet the needs of learning through a variety of spaces to accommodate quiet study and small group learning, and it will be large enough to house Woodstock’s book, periodical and archive collections. plug points and network coverage, wherever required and possible. This would all align well with our increasing emphasis on making the most of our natural environment, teaching students to blend the line between indoor and outdoor, not to mention responding proactively to recent research demonstrating that people who spend at least an hour outdoors each day are much less likely to experience stress, depression, and anxietyâ&#x20AC;&#x201D;all of which are growing astronomically among teenagers. School Offices The Quad and High School offices suffer from severe inadequacies in terms of layout, storage and utilities space. Although the offices remain busy through the entire day, they lack even basic amenities that would make teachers and students feel welcome. The spaces have no aesthetic appeal, and are boring and drab. It is proposed that a thorough audit be done on the utilization of the offices, and new layouts be defined, based on the needs assessment exercise. Space for stationery, copy machines, seating and refreshments areas should be created. Install aerators on faucets to reduce the amount of water used. Since children spend a large part of their time at school, making it easy to drink water during the school day can have a large impact on a child’s health. Unfortunately, Woodstock hasn’t done enough in this area. There are decentralized water stations around the campus, but they are neither adequate nor well maintained. What we need are well built, modular water fountains across each floor of our academic buildings that allow children to drink water and fill up reusable water bottles. Scarcity of quality, purpose built storage space has been a major deficiency in our educational infrastructure. Over time, haphazard decisions have been made, and storage spaces have been added around our school buildings, blocking access to utility infrastructure and safety pathways, as well as closing off windows and doorways. Many such storage areas have cut off natural circulation and ventilation that are important for buildings to “breathe”, thus reducing the potential for them to dry off after monsoon. A thorough analysis of consumption and use patterns of each material or equipment, including frequency of use and ease of transportation, needs to be conducted. The use of satellite storage facilities for material that is needed seasonally (wood, for example) needs to be explored, and underleveraged areas of the school campus such as the Sorting Shed near Dhobi Ghat need to be mobilized. Communication Infrastructure Woodstock does not have a centralized Public Address System, which has been a standard communication media for decades at schools around the world. We have no way to make school-wide announcements when emergencies happen and offer limited avenues for school administrators to make routine announcements to the entire school or to direct staff/employees or students to report to a location when their current whereabouts are unknown. This is an urgent need to be addressed. We also need to find an alternate to loud, piercing electric bells installed all around the campus to alert staff and students about class schedules. Staff Housing is a critical strategic resource that has supported Woodstock’s development into one of the most prestigious schools in India. Campus housing offers convenience, as well as opportunities for our staff to develop life-long friendships by living in an environment that fosters personal growth. Our residential neighborhoods offer great safety and benefits from opportunities to learn about other cultures and lifestyles, and make lasting memories. The concepts of self-respect and respect for others, tolerance celebration of diversity and ethical behavior are continually fostered. It will not be unfair to say that Woodstock’s ability to offer this benefit is one of its greatest strengths and differentiators. The quality of housing is a determining factor for people to stay or leave. This characteristic has always been profound in the school’s history, but it will be apt to mention that challenges of staff attrition due to suboptimal housing has decreased in magnitude over the past 6-8 years. Much has been accomplished in this context, but the key is for us to sustain momentum, celebrate our successes and reflect deeply on failures and the underlying reasons. Well designed and meticulously maintained homes not only provide a comfortable place to live, but also are a symbol of an existence that we hold dear as a community - a nurturing and fulfilling learning community that has a global soul. Staff Housing has undoubtedly been the focus of our operational bandwidth over the last few years. The pace of upgradation has been brisk, and thanks to the support of our Finance Committee and Board of Directors, we have been able to provide a much-needed facelift to many of our staff homes. From being a major concern that drove attrition, we have reached a point where quality of living for staff has certainly improved, with fewer staff members attributing housing to be a reason for them to be leaving Woodstock. It would be important for us to continue a moderate investment in staff housing over a long-term horizon to ensure that we address the serious risk of exposure due to lack of housing, as well as to bring much-needed consistency in our housing standards. These proposals span a long-time horizon and are intended to capture long term planning imperatives. Edgehill is a large housing cluster right between Woodstock Villa and Redburn. Early records indicate that the property belonged to a British Amy Officer since May 1842. Over the period of time, it was sold to various parties, and eventually the ownership was transferred in October 1979 to Zenana Bible and Medical Mission Trust Association (TZBMMTA). In March 2009, Woodstock School purchased the Edgehill Estate measuring 5.98 acres from TZBMMTA. In 2016, a part of the existing building (known as “Edgehill Annexe”) was renovated to create two modern three bedroom staff apartments. The larger building (internally known as “Edgehill Main”) is in a poor condition. However, the building’s large plinth area (6,500 sq ft), the fact that Woodstock is the sole owner of the property, and its extremely desirable location means that the property, once developed, would be a fabulous addition to our housing stock. We plan to preserve Edgehill’s heritage look and create at least five modern two bedroom houses with well-defined communal spaces. Another idea worth considering is to redevelop Edgehill as a facility that can be used by visiting corporate groups to hold offsite trainings and team development activities as part of Woodstock’s Enterprise Revenue Strategy. an 18.95acre estate located on the northern edge of our campus, with unmatched views of the Greater Himalayas. The property was one large bungalow, was, over the years, divided up haphazardly into 6 small, misshaped units. The single level units are small, and suffer from issues related to seepage, darkness and dampness. If renovated, Mount Hermon would help us accommodate 6-8 families in 2 Bed, 2 Bath configuration. This property is unmatched due its presence right on Tehri Road, with easy access to road and reasonable amount of car parking space. If redesigned and rebuilt, South Hill could emerge as being a prime property with 4-5 two-bedroom, two bath units in a very accessible spot within our campus, with a large common area. Repurpose Underutilized Employee Quarters: Woodstock’s decision not to provide housing to new employees effective 2011 means we are in the process of grandfathering out employees that currently live in Woodstock provided accommodation. The number of vacant employee units will continue to increase over the next decade, and it is expected that within the next 15-18 years, a majority of our current employees would have retired and many more Woodstock employee properties would be vacant. This is a crucial asset since many employee accommodations are on defined and approved plinth areas, and could be renovated after seeking legal permissions. Midlands Employee Quarters is one such property. It is a hidden gem within our campus, and one which has attracted little attention until now within our renovation planning. A five-minute walk from Midlands towards the Rainwater Harvesting Tank leads one to this 3588.56 sq. ft. structure that currently houses 15 employee families. With little tree cover around, this property undeniably receives plenty of sun all through the day and is accessible by a road that could easily be turned motorable. More than anything, this property’ position and strength is its proximity to our student residences. Our attempt to have teachers integrate closely with boarding life of students has faced significant challenges of accessibility since teachers have difficulties committing to dorm duties because of the sprawling nature of our campus. If this model has to work, we will need to look carefully at creating housing space around the dorms. Midlands employee quarters could easily emerge as being a prime property with 4-5 two-bedroom, two bath units in a very accessible spot within our campus, with a large common area. Although Woodstock is situated in an area considered to be susceptible to frequent seismic activity, the school has not taken serious cognizance of the potential impact on student and staff safety if a large scale seismic event were to occur. There needs to be a serious consideration given to the age of our campus buildings, the campusâ&#x20AC;&#x2122;s isolation (which makes search and rescue a challenge), rudimentary governmental response infrastructure and the schoolâ&#x20AC;&#x2122;s obligation to provide safe facilities for its students and staff. understand the possibilities and constraints of undertaking such an expansion. Analysis of existing condition of non-structural components and their connection details attached to structural or other building systems whose connections failure could be hazardous or cause significant damage, such as signs, rooftop towers, parapet walls etc. Recommendations for corrective measures, including conceptual level design solutions for stabilization and/or repair, and project prioritization or necessary sequencing. Establish a Security Operations Center (SOC), which is a 24×7 command, control and security operations management area. This shall be the primary hub for operational communications, information sharing and situational awareness for all information pertaining to campus activities, threats and emergencies. From a safety standpoint, much needs to be accomplished at Woodstock. We need a careful examination and evaluation of the school’s policies, procedures, and initiatives in place to maximize personal safety and security on campus and in areas adjacent to the campus. Administrative functions and strategies that directly impact safety can be significantly improved and better coordinated. Four central components of safety and security require focused review: (1) emergency response (2) safety of students and staff on campus paths (3) safety education and outreach, and (4) capital investments. Efforts have been underway to address some of these needs, but a more coherent approach would be required to consolidate our needs to put into place an implementation plan that address current gaps. Explore ways to create overhead crossing for children at New Road in advance of a paved Mussoorie -> Dhobighat –> Chamasari – >Dehradun road to come up, which will significantly increase vehicular traffic in that area. Woodstockâ&#x20AC;&#x2122;s initial campus development in the late 19th and early 20th centuries presented a strong community image and campus organization. Although some of the oldest buildings are now lost behind facades that came up as part of subsequent developments, the visual identity and structural stability of these heritage structures cannot be overstated. Over time, the addition of storage units, temporary partitions and offices, as well as the near constant repurposing of spaces has led to a severe dilution of the schoolâ&#x20AC;&#x2122;s heritage identity, especially in the area around the Quad. The mountains provide a dramatic backdrop to the campus, and enhance the visual impression. However, as far as the buildings are concerned, the lack of unifying elements is blatantly evident in facades of some of our most important structures. There is little in common between the visual identities presented by the Quad School, High School, and Media Center. Externally, each is undistinguished in design, and together they give the campus a haphazard appearance. There are few apparent organizing principles, building vocabulary, circulation or landscape treatment. The lack of a cohesive design theme is evident in interiors too, with no similarity in flooring, lighting and other aesthetic dimensions. The indiscriminate use of dark paint, loosely fitted bukhari vents made of cheap Galvanized Iron, poorly concealed electrical wiring, along with inferior and sporadically organized plumbing systems are disturbing. The master plan will need to illustrate how the emerging design themes would combine to create balance, rhythm, and beauty through a comprehensive design aesthetic. We would need to establish a coherent and memorable character across the Woodstock campus through the standardization of facades, materials, paint, signage, cladding as well as removal of unnecessary appendages that have emerged. These include non-functional gates, pipes, restrooms attached to classrooms, storage areas, and the ATM unit. These need to be replaced by well-designed communal spaces that promote collaborative seating and positive interaction. Implementation Plan The campus renovation plan is a monumental initiative that will deliver outcomes with significant impact on every dimension that Woodstock stands for – learning, student life, faculty and staff morale, retention and safety. An initiative of this kind will require immense financial and logistical co-ordination, deep relationships with governmental agencies and planning to minimize disruption. world class by any standard. This workstream is already in process with the Science Facility at Tehri View and Center for Imagination at Tafton, which are expected to be complete by early 2021. Upgrades to existing buildings would be a more complex exercise that would need a cautious, measured and incremental approach. The steps suggested as part of this work would need to include a carefully executed planning process that would last at least 12-18 months. It is highly recommended that this process, which has never been conducted in the school’s history, be given due attention and patience. Any plans to force an expedited outcome would throw us back to the state that we have existed in. Step 1 – Participants: The first step is to constitute a renovation planning task force by identifying the relevant participants and stakeholders. We need to ensure an extensive engagement of a diverse range of school constituents, including teachers, students and administrators. Student participation in the process is recommended as they spend significant time in these spaces and are well aware of deficiencies that exist and opportunities that could be leveraged. Step 2 – Engagement with an Architect: An architectural consultant will need to be engaged by the school. S/he would work with Woodstock’s renovation planning core team to seek an alignment between the needs of Woodstock’s current educational program and facilitate discussions to uncover needs that could arise in the future but are not exactly evident now. S/he would undertake a complete assessment of Woodstock’s facilities from a perspective of functionality, capacity, utilization, building code compliance, accessibility, sustainability and heritage. The architect will oversee project execution and quality control. Step 3 –Project Definition: The architect would work with Woodstock’s core team to create a comprehensive campus space usage report, prioritized list of projects, design criteria, phasewise implementation plan as well as illustrations and materials to use in our capital campaign. In this phase, funding needs will be developed, scoped, prioritized, and sequenced into integrated short, medium and long-term capital projects to optimize funding and execution. Concept plans will be sketched and project plans developed. Costs and benefits will need to be weighed and options and alternative scenarios may also be explored. Proposed projects need to be optimized to balance conflicting objectives and constraints. Most Woodstock classrooms exist within old structures that do not accommodate major modifications. With this consideration, we plan to limit our work to upgrading classrooms and avoid structural changes to the buildings until a more comprehensive structural assessment and space planning exercise has been conducted. We will select spaces that are expected not to be repurposed in the foreseeable future. The table on the following page represents the list of projects proposed to be accomplished in Phase One of the Campus Master Plan over the next 36 months, along with associated costs. This list has been drawn up based on strategic importance, academic and residential planning priorities and interdependencies between projects. Creation of a new, world class Science facility at Tehri View. Critical project that would help us uplift the standards of Science education at Woodstock. The North section of the High School building (measuring 9,800 sq ft) at the main level contains five old and tired classrooms, three academic offices, staff restrooms and lounge. Being on the main floor of the High School, this area attracts the most visitors and guests at any given time. HS20, the classroom that was renovated during the 2019 winter break is within this area and it would be very logical for us to extend the renovation to the entire space around it. There is no roof for us to deal with, and most importantly, the probability of these classrooms existing as classrooms in the future is certain. Please refer to the Appendix for a layout of the proposed space. An electrical infrastructure assessment exercise needs to be urgently conducted to identify existing energy and utility system capacities, deficiencies/inefficiencies, and account for Woodstockâ&#x20AC;&#x2122;s future growth plans over the next 20 years. The outcome of the assessment needs to be a set of recommendations around necessary improvements required to create an even more efficient, dependable, reliable and robust electrical infrastructure. FUNDING OPTIONS Costs associated with the campus renovation will be significant, and will require Woodstock to secure investment from diverse sources. The school will be unable to leverage just one source of funding for a project of this magnitude â&#x20AC;&#x201C; our approach would need to involve a blend of strategies, including fundraising, fee revenue increase and developing alternate revenue channels. Fundraising Woodstock has enjoyed the generous support of its global alumni community for a long time. This support has helped the school overcome very difficult times of transition and financial constraints, and made up some of the most reliable funding for infrastructure projects, professional development, and the life-changing student-experience that makes Woodstock one of the most unique schools in the world. In fact, until 2011, almost all major building projects were partially or completely funded through alumni donations. Although the school is now financially stable, capital expenditure of the kind that would be demanded by the planned renovation would require access to a large pool of financial resources. To accomplish that goal, Woodstock will need to embark on an ambitious fundraising exercise, which would need to include the alumni community, current parents and government aid programs such as ASHA Grants. FWS Support: Friends of Woodstock School (FWS) has long been a partner to Woodstock, and has helped nurture scholarships, provide program support, and drive community patronage and participation across alumni groups in the Unites States. FWS may be able to play a dominant role in financially supporting the renovation planning by offering access to undesignated/unrestricted funds donated by Woodstock supporters in the US for use by the school, or through matching gifts like that in the case of Tehri View and CFI. Fee Increases: With student tuition being our most key revenue driver, an obvious choice to increase our revenue is through increases in student fee. However, care needs to be taken to ensure that fee increases do not disturb the marketability of the school and our positioning with respect to our peer schools. Enterprise Revenue: Woodstock’s revenue model is heavily dependent on student fees. The change in fee structure implemented in 2011 triggered an immediate revenue increase for the school, leading to dramatic gains in early years of the change. Due to “grandfathering” of kids that were on the SAARC fee, Woodstock will continue to reap benefits of this change until all kids on the SAARC fee have graduated in 2021, at which time the era of easy and automatic surplus will come to an end. Woodstock has started to take some welcome steps to diversify its income stream. With the Summer program and operations of the Hanfil Center, the trajectory of non fee income has started to gradually rise.The school would need to continue this momentum and kickstart other streams that can bring in the funds needed for this building campaign – winter programmes, external student groups and facility rentals, with an intention to increase the share of non-linear Enterprise Revenue to about 9% of the total revenue by the year 2024, from 2.84% in 2015-2016. A strategic proposal for updating Woodstock School's building and facilities.